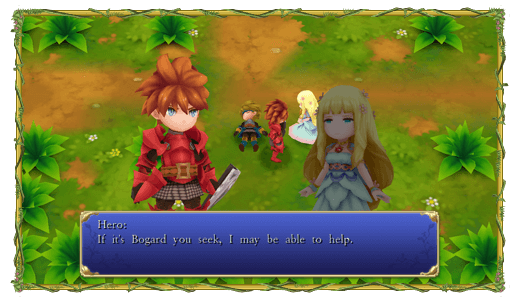 Five months ago, Square-Enix released the English version of Adventures of Mana on iOS and Android. The game is a remake of the very first Mana game, which was released on the Game Boy back in 1991. In the US it went by the title “Final Fantasy Adventure” and in Europe it was titled “Mystic Quest,” but they’re all the same. Japan had a Vita version of this game released on the same day, but when the English translation came ashore, that version was nowhere to be found. After getting complaints, Square said they would look into bringing over the Vita version if there was enough of a response, and asked for fan opinions. They answered loud and clear, but nothing seemed to come of it. Until today, when suddenly, Adventures of Mana became available on Vita with no announcement or anything. It’s $13.99 on the Playstation Store. “I’m really happy to let you guys know that your voices were heard and the team is really happy to bring Adventures of Mana to the PS Vita community and celebrate the 25th anniversary of the Mana series with you all,” says Dan Seto, a community manager for Square Enix. The original Final Fantasy Adventure is one of my favorite games of all time. I was one of the people begging Square for a release that supported buttons, and I believe I told them I’d purchase a Vita just for this game. ….This had to happen on the same day Zero Time Dilemma comes out, didn’t it? ?